On the Farm this month we’ve drilled the winter wheat and plan to drill around 100 acres of beans later in October. I’ve enjoyed some delicious meals out this month, with the most memorable dish being this amazing soufflé. You will know from my previous blogs that I am a keen cook and as soufflé is notorious for being a technically difficult dish to make, I’ve got my sights set high on learning to make them. I also ate at Raymond Blanc’s Le Manoir in Oxfordshire last weekend, where the excellent food and service we experienced while dining was tainted by our experience following the lunch. One of the party I was with left their mobile phone at the restaurant and when I called them to ask if it had been found, they affirmed that it had been, but that there’d be a £7 fee for it to be returned. As a customer at such a renowned and high-end establishment, this situation really riled me. Good customer service is so important. 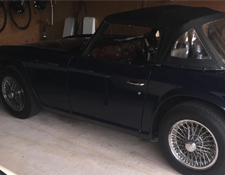 Recently I bought a TR6, thinking that I could go back to my youth. It didn’t turn out to be quite for me so it is currently back at the auctioneers. In news onsite, we have now rented the whole of the unit which used to house SIMA Warehouse. This unit has been split into multiple spaces, which will be occupied by Doodle Togs, Opus, Levines and in the next ten days we hope to confirm an Indoor Adventure Golf course. One of the names suggested for the adventure golf is “Pitch and Prosecco” which sounds very inviting! 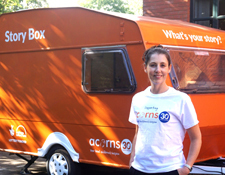 This month we welcomed the Acorn’s Story box on to site for the day. They are touring with their renovated caravan as part of their 30 year birthday celebrations. On the day, they welcomed staff and customers to share their stories and childhood memories, along with memories of the charity. It was lovely to be involved and be asked to host it. 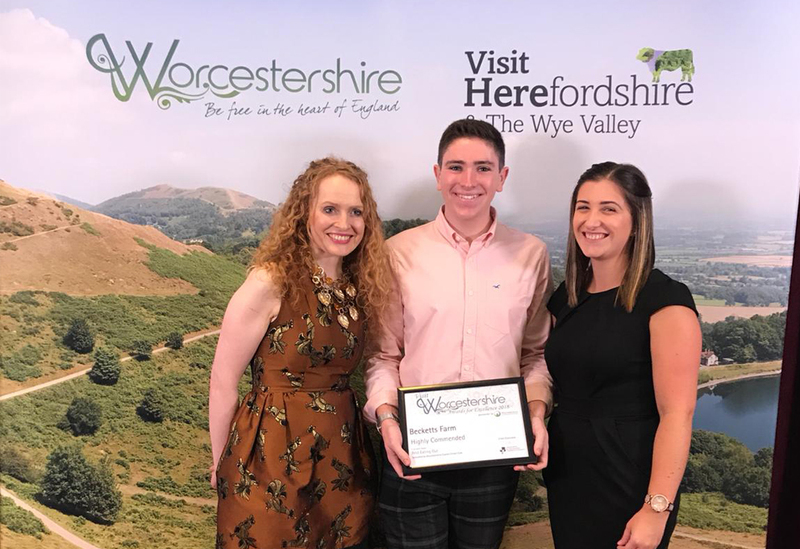 We’ve been lucky to have been awarded Highly Commended in the Visit Worcestershire Awards for Excellence in the Best Eating Out category. Hollie Whelan who is our Restaurant Assistant Manager and Adam Cox who has recently joined our Marketing team went along to represent Becketts and receive the award. We’ve also been shortlisted as finalists in another awards, but it’s top secret information for now so I’ll have to let you know about that one next month. Huge thanks to the whole team here who make sure this place has the opportunity to win awards, it really is down to their hard work and dedication.